Mirror perfection! A very rare & richly carved 18th century silver gilt Louis XVI period mirror with a stunning time worn faded silver patina, beautifully foxed original sparkling mercury glass mirror plate, and original back. 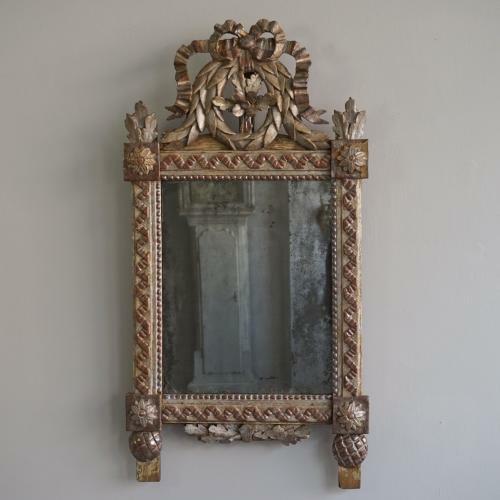 The mirror is in excellent 18th century antique condition with some smal spots of historical wear & tear to the gesso/gilding which only add to the beauty & rich tapestry of the piece. French circa 1780.